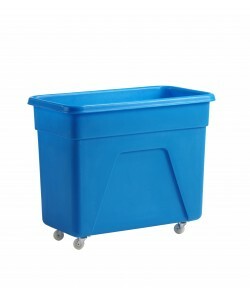 Fletcher European Containers manufacture a range of plastic bottle skips, bottle bins and bar trucks, commonly used by the licensed trade, hospitality trade and catering sector in pubs, clubs, restaurants, hotels and event hire for collectingand recycling empty or used glass bottles. 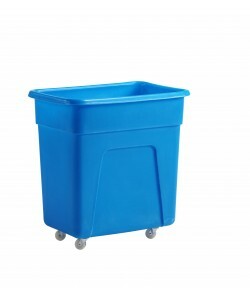 Our range of tough bottle skips (bottle bins) offer a durable yet lightweight plastic container that is suitable for many other industrial or commercial applications. Each bottle skip is supplied as standard with four 50mm diameter swivel wheels in a zinc plated castor housing and are completely watertight. 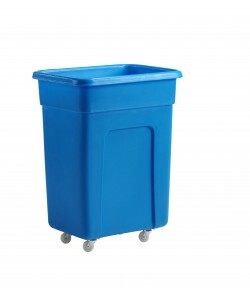 Manufactured in a recycled polyethylene material, our plastic bottle skips are available in a selection of five different models, with capacities spanning from 125 litres up to 185 litres. Each model of industrial bottle skip is designed to fit easily into tight spaces, such as behind counters or under and behind bars. 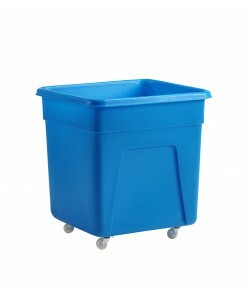 Their lightweight design makes them highly manoeuvrable and easily lifted, making emptying the robust bottle skips a simple task. Produced from polyethylene plastic via rotational moulding, our moulded bottle skips are well equipped for busy and demanding environments. 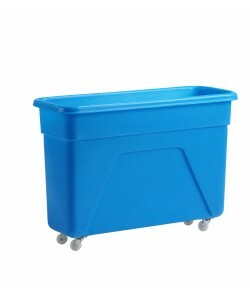 Their smooth one-piece, durable construction allows them to be easily cleaned as there are no awkward crevices to navigate and the plastic bottle trolleys can also be stacked to save space. Incorporating a tapered design, our bottle trolleys are able to nest within each other to a degree to help save on space, but they can also be separated easily due to a quick release feature. Available from stock, our polyethylene bottle skips are readily available from our UK factory, helping to provide a quick and reliable service. 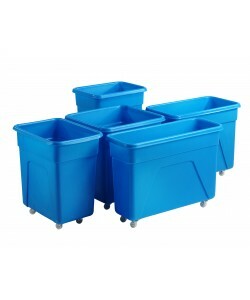 Choose from 5 models, the MO1B, MO2B, MO3B, MO4B and MO5B to find a plastic bottle bin that meets your requirements.